Heather’s back! 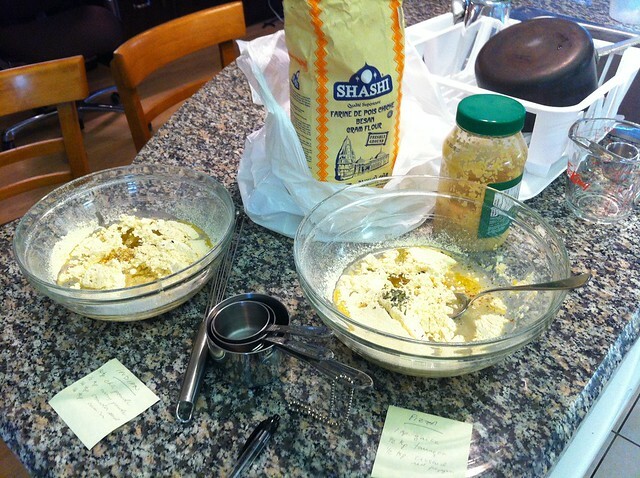 And we decided to have another experimenting sister-date in the kitchen. 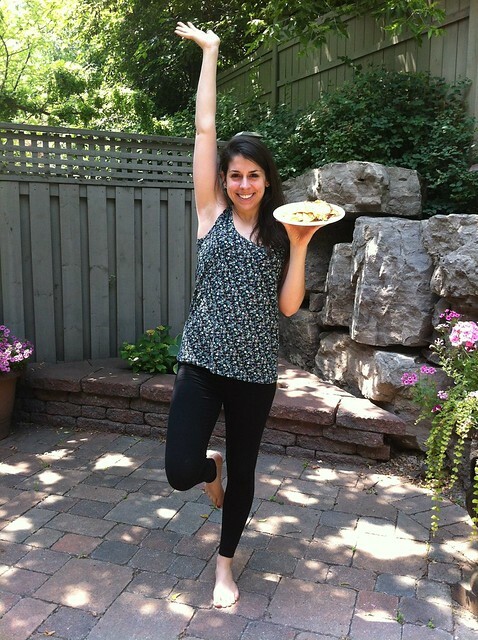 This time, we were playing around with socca — a chickpea pancake from Nice of gluten-free proteiny deliciousness. 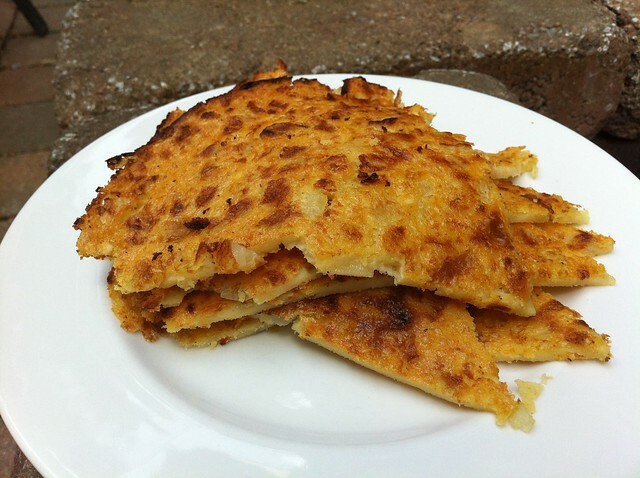 Socca is one of those foods that I’ve been interested in for a long time — it’s all over the vegan, vegetarian and gluten-free food blogs, and Marc Bittman keeps writing about it. As I’m currently experimenting with eating gluten-free, I thought this was the perfect time to try out socca, which is naturally gluten-free as it is made from chickpea flour. 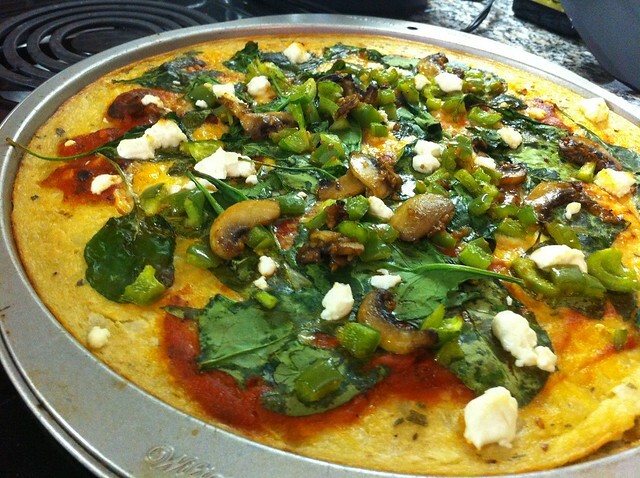 We followed Marc Bittman’s instructions (from How to Cook Everything Vegetarian) for the socca pizza, and baked it for 5 minutes before adding the toppings and baking for another 10 minutes. This made for a smooshy crust and perfect toppings. 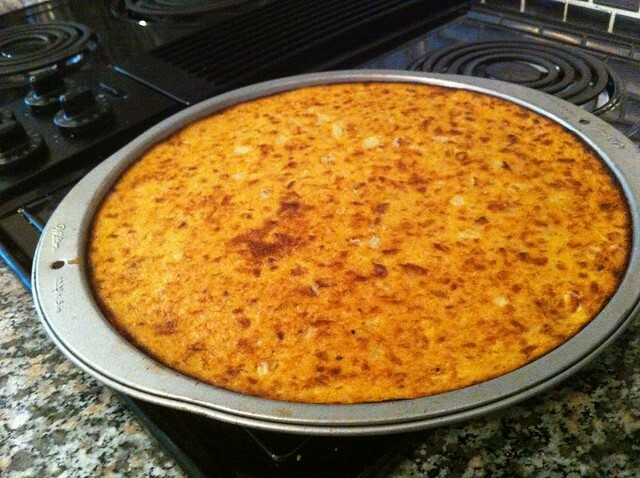 Next time, we’re going to try making the socca as a pancake first (15 minutes in the oven, then 3 minutes under the broiler) before topping and baking for an additional 5 minutes for a crispier socca crust. 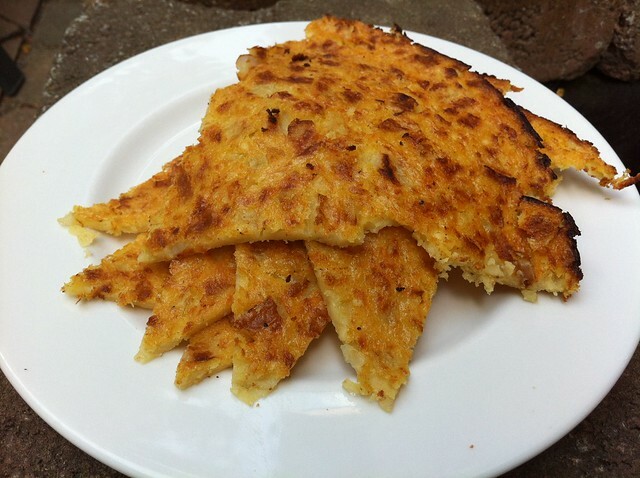 Socca is also very versatile — you can add any herbs or spices you have on hand to the batter to change up the flavours on the fly. We were talking about a rosemary & garlic variation or an olive & lemon zest socca. 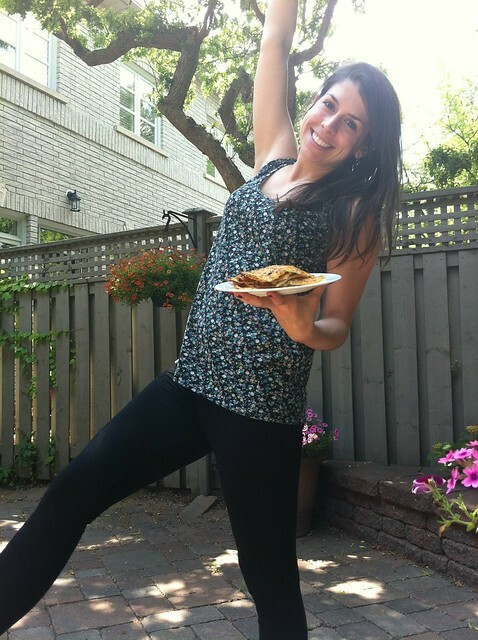 Socca is also the perfect accompaniment to a backyard photo shoot. We had so much fun making it, and hope you do too! 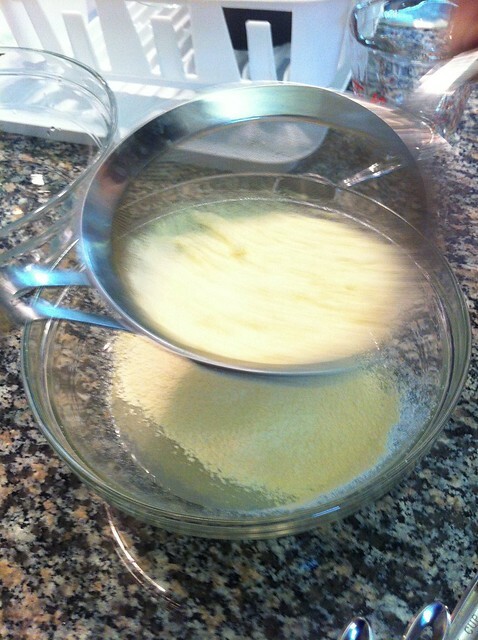 Use a fine-mesh strainer to sift the chickpea flour into a large mixing bowl. Add the water, salt & pepper, spices, garlic, and 2 Tbsp. of the olive oil. 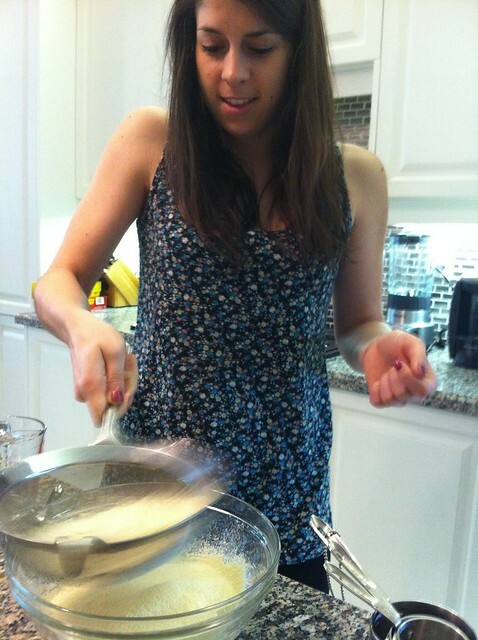 Whisk until you get rid of all lumps. Add the onion & stir to incorporate. 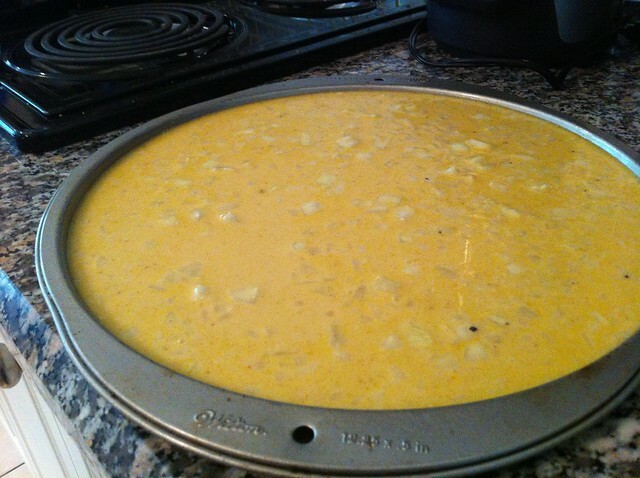 Let the batter rest for a minimum of a few minutes, or up to 12 hours, covered with a tea towel. Bake at 450F for 15 minutes, or until the socca is firm. Brush or drizzle the top of the socca with the remaining 1 Tbsp. of olive oil. Broil for 1-2 minutes, or until the top develops brown spots. 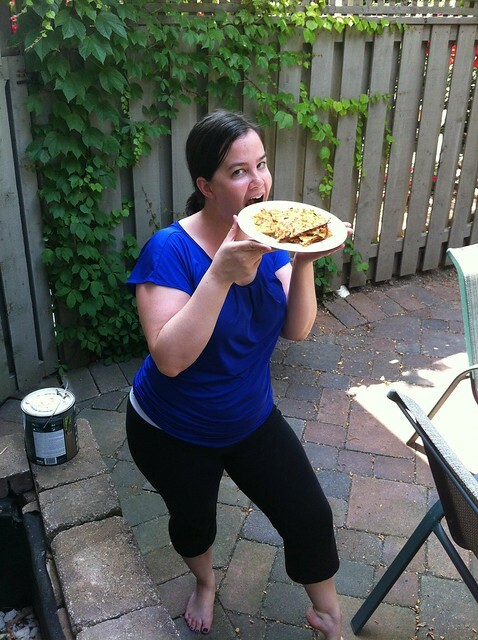 Cut into wedges and eat with delight! Preheat your oven to 450F. Pour 1 Tbsp. 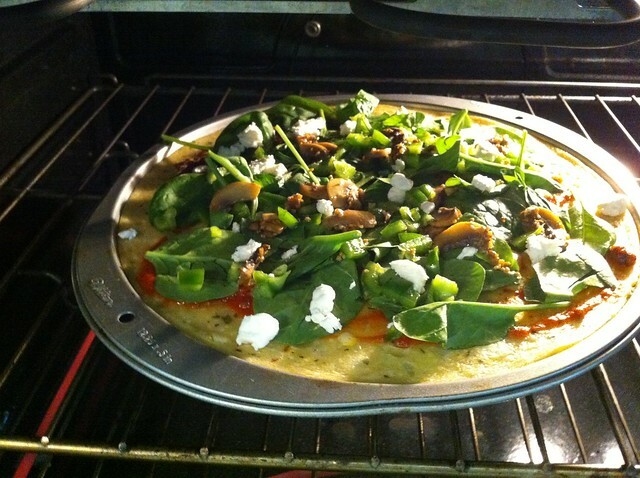 of olive oil into a well-seasoned or nonstick pizza pan or skillet (12″ or 30cm with at least 1/2″ or 1.25cm sides). 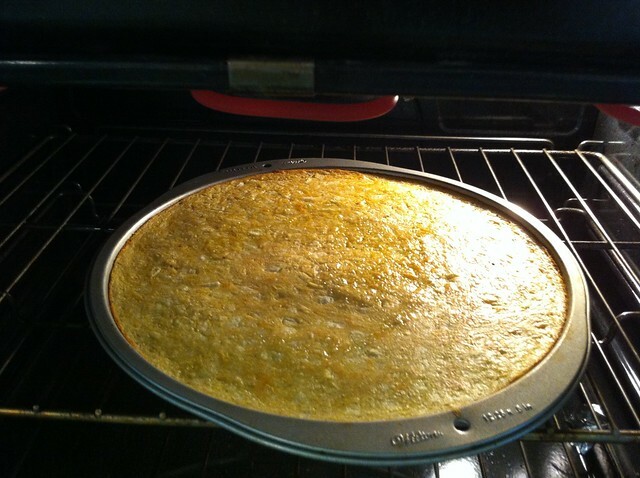 Pour the chickpea batter into the pizza pan, and bake at 450F for 7 minutes, until the socca begins to set. Top the partially-baked socca with the tomato sauce and pizza toppings (spinach, mushrooms, pepper & optional cheese), and bake for another 10 minutes at 450F.